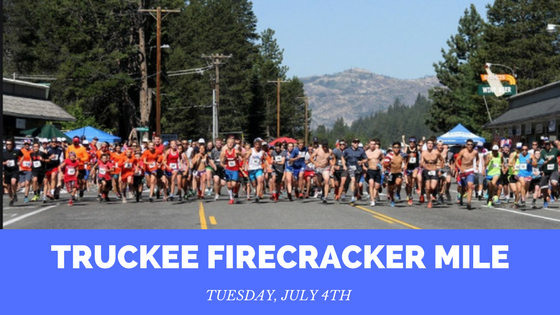 The Truckee Running Series is in full swing after our Independence Day kickoff race, the Firecracker Mile. 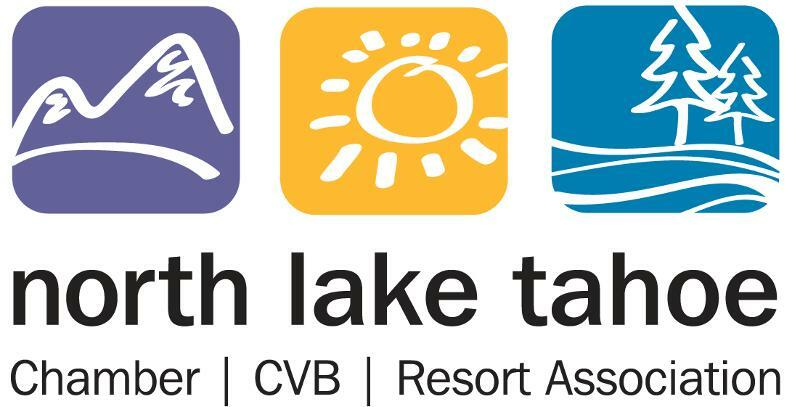 There are lots of great races on the calendar, including the Squaw Mountain Run and Sierra Crest Ultra Run in July and August, and the Run the Runway and Donner Lake Turkey Trot in the fall. 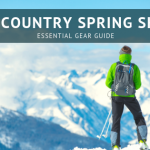 Whether you’re running the 3 mile uphill Squaw Mountain Run, or the rugged 50K Sierra Crest Ultra Run, we can help you find the best gear for your run. Below is a look at the best products from the sponsors for our upcoming races. Many of these sponsors will be there to greet you at the finish line for the Squaw Mountain Run and the Sierra Crest Ultra and there will be lots of free swag, demo products to try out, and opportunities to win gear! 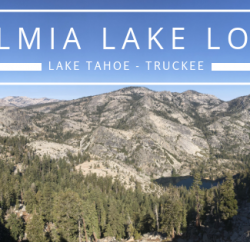 Look for Salomon, Darn Tough, and Sierra Symmetry at the finish line of the Squaw Mountain Run and Salomon, Darn Tough, 2XU, Camelbak and Sierra Symmetry at the finish line of the Sierra Crest Ultra Run. This running vest is exactly what you’ll need for a race like Sierra Crest. It’s a well thought out piece that showcases Salomon’s expertise in trail running. It has a 5L capacity and can hold all the essentials you’ll need for longer distances. For hydration, there are two 500 mL soft flasks in the front mesh pockets and a large main compartment in the back that can hold a hydration bladder. There are plenty of storage pockets for snacks and extra gear. This is a really comfortable vest to wear. It’s form fitting and made out of a breathable mesh and fast wicking fabric. The aggressive tread on these shoes makes them an excellent choice for Squaw Mountain Run. This classic trail runner is light, cushioned, and great for steep, technical terrain. The huge lugs on outsole give you incredible uphill traction and contragrip rubber will help you grip slick surfaces. 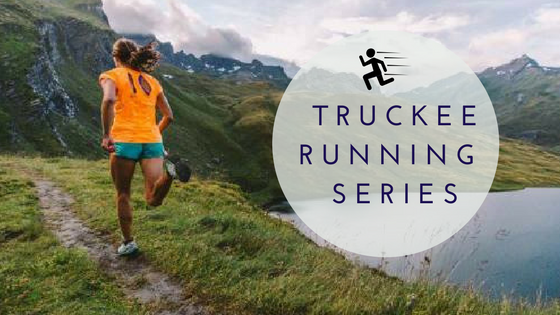 Salomon will be at the finish line for the Squaw Mountain Run and Sierra Crest Ultra Run with shoes for you to demo so be sure to check them out! Darn Tough makes awesome performance running socks and we especially love the Vertex line. These socks are ultralight and have a performance fit so you don’t have to worry about bunching or blisters. They are also fast wicking and pull moisture away from your skin to keep your feet dry on those hot, sweaty runs. You’ll get all the benefits of merino wool too: breathability, temperature regulation in hot and cold weather, and natural antimicrobial properties for odor control. These socks are available in no show tab and 1/4 length. Want a free pair? Try on a pair of Salomon shoes for 5 minutes at the finish line of the Squaw Mountain Run or Sierra Crest and you can take home a free pair of Darn Tough socks (a $17 value!). Ultimate Direction was the first to come out with a running specific hydration vest and the company’s experience in the field is evident in the thoughtful construction of their current line of hydration products. The Ultra Vesta is our top pick for a women specific running vest. It’s part of Ultimate Direction’s Jenny Collection, a line designed by Jenny Jurek and a team of female runners. 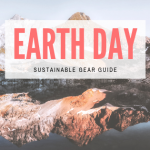 This vest holds just the right amount of hydration and essentials; it has two soft bottle pockets on the shoulder straps, a large open compartment in the back for a reservoir, three zip pockets for your phone, gels, bars, etc., and features like a whistle, trekking pole loops, and an emergency hair tie. The AirWall mesh this vest is made of keeps it light and breathable. You can adjust the sliding rail sternum straps and side straps for a comfortable, custom fit. This is a great handheld for shorter distances and would be perfect for a little extra hydration on the Squaw Mountain Run. This flexible bottle bottle can hold 20 oz of liquid and has a large zip pocket for your phone and essentials. There’s also a stretch pocket for gels or chews. This handheld is light and comfy. The bottle is ergonomically-shaped and easy to carry and the seams are soft and thin, engineering for chafe free running. Soft flasks are taking the running world by storm and Camelbak is at the forefront of this hydration revolution. Their Quick Stow Flasks are indispensable for long and short runs. These highly packable bottles fit into the front pockets of most running hydration vests or waist belts. They hold 500 mL of liquid, perfect for your electrolyte mix, and when empty they can easily pack down to fit into your pocket. They have a leakproof bite valve so you don’t have to worry about soaking your vest mid race. This flask also comes in an insulated version, the Quick Stow Chill Flask, which works great on these hot days. With the Quick Stow Chill Flask in your race day vest for the Sierra Crest Ultra Run, you can have cold ice water at your fingertips. Camelbak will have a tent at the finish line of the Sierra Crest so you can try out their latest hydration running gear after the race! These compression shorts are designed for runners and utilize anatomical muscle mapping to specifically target your quadriceps’s and provide extra support where you need it. Compression is essential for a high impact sport like running because it helps reduce fatigue and muscle strain. If you’re looking to improve your performance and increase your recovery time, think about picking up a pair of these compression shorts. Your legs will thank you! As mentioned above, compression offers many benefits for runners during and after intense physical activity. As the post run aches and pains set in, you’ll want these socks to speed up your recovery time. They use graduated compression to promote increased blood flow to key muscles. If you want to try out a pair, 2xU will have a recovery zone set up at the finish line of the Sierra Crest Ultra Run where you can learn more about the performance enhancing benefits of compression and try out some of their recovery compression products. 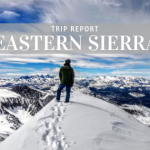 These iconic ski resorts are known as the places to be in the winter, especially after the phenomenal winter we had this year, but there’s also lots to do at these beautiful spots in the summer. Take the Aerial Tram at Squaw Valley from the base up to High Camp and you’ll be treated to breathtaking panoramic views along the way. From there you can soak in the mid-mountain hot tub or take part in the high altitude shopping and dining at High Camp. This awesome local craft brewing company will be at the Squaw Mountain Run to provide your post race refreshments. They have an excellent selection of tasty brews and we look forward to seeing what they will bring to the event. Their Session 267 IPA is the perfect beer for these hot summer days, hopefully it makes the list! 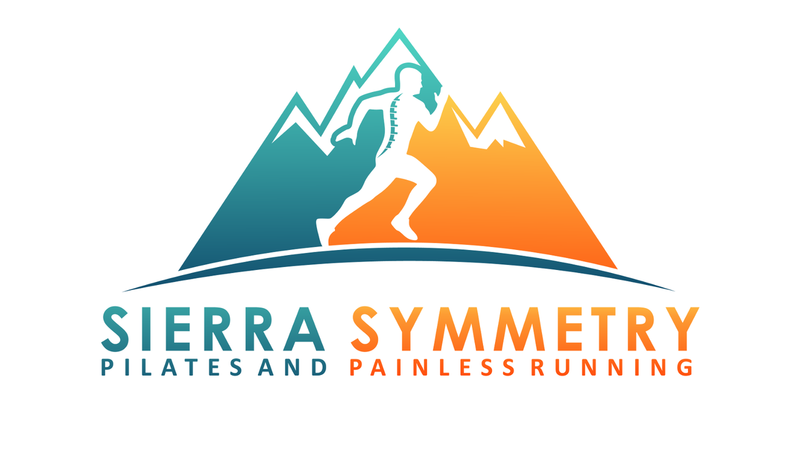 If you experience chronic pain while running, or are always stuck in the injury cycle, you need to pay a visit to Hillary MacLean at Sierra Symmetry Pilates and Painless Running. Hillary is a Polestar Certified Pilates Instructor and Painless Running Coach who works to properly align your body so that you can run and move more efficiently. 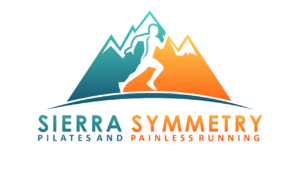 She will be at the Squaw Mountain Run and Sierra Crest Ultra Run providing a free basic evaluation of your running stride. Whether you’re interested in performing at the highest level or reducing the risk of sports related injury, Hilary can help you bring efficiently and ease to your running. 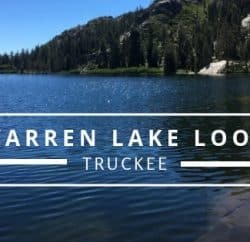 Just a short drive from downtown Truckee, Tahoe Donner is a great local spot for year round adventures. 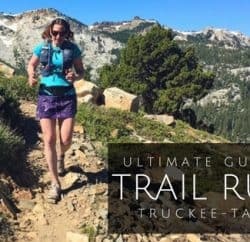 Their trail system encompasses over 60 miles of single-track and double-track and is open to mountain biking, hiking, trail running, and equestrian use. 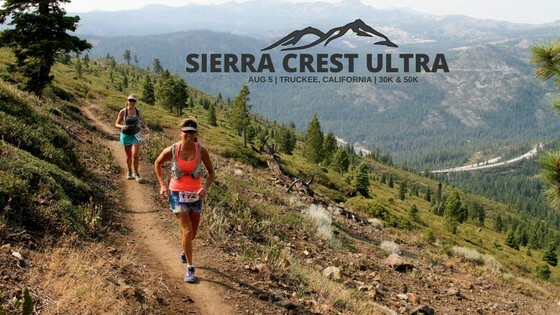 If you’re running the Sierra Crest Ultra, you will get to experience some of Tahoe Donner’s beautiful terrain. If you’re not running the race, there are plenty of ways experience this magical spot. Check out their website for more information on summer activities. The Brewing Lair is a craft brewing company located up in Blairsden, CA and will be providing the post race brews at the Sierra Crest Ultra. They have an awesome list of summer seasonal brews and we are excited to see what they will bring to this event! Delicious and nutritious sums up Nature’s Bakery snack bars. This company makes tasty on the go snacks that are filled with wholesome ingredients like stone ground whole wheat. They have a great selection of non-GMO, cholesterol-free, dairy free, kosher, whole wheat and gluten free bars. 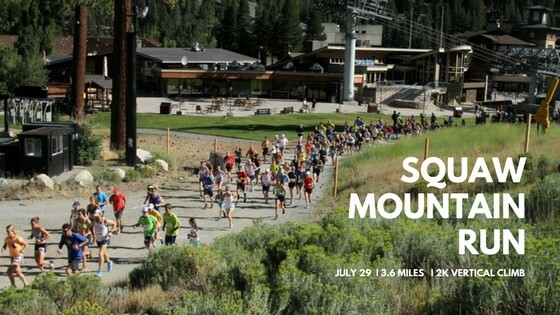 We will have lots for you to try out at both the Squaw Mountain Run and the Sierra Crest Ultra! Click on any of the images above for specific race information and to register. Share your race plans in the comments below!